As the fall semester rapidly approaches, nerves may begin to settle in for some students and parents. 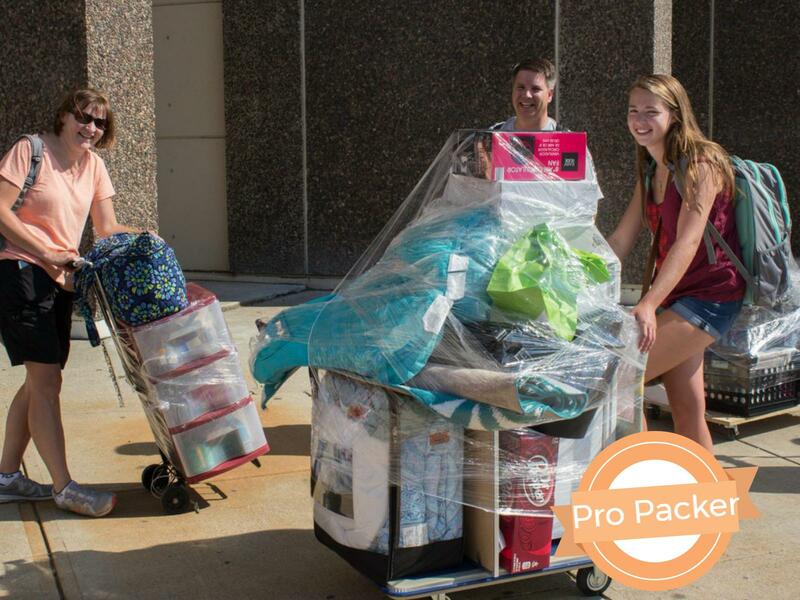 To help ease your transition to college life, University Housing Services wants to share our top 10 move-in tips to help you feel at ease and confident as you prepare to move in. 1. Follow your assigned move-in date and time. Each student moving into University Housing will be assigned a specific time and date to move in. This time is determined by which housing area and floor the student is on. The check-in schedule is calculated by expert engineers. OK … it isn’t, but it is calculated by expert Housing folks and our campus partners who evaluate the schedule every year and strategically pick the best times for everyone. This will be the same time the student’s keys will be made available to them. The move-in schedule is available here. We advise students and parents to plan ahead and not wait for the final 30 minutes to arrive for their move-in time. The next group of students moving in will begin to arrive around that time, making much heavier foot and vehicle traffic. 2. The more the merrier! Bring as many people who can help you move as possible! As soon as your car is parked, our Curb Bird student volunteers will help unload the vehicle and make sure families get to the right place. 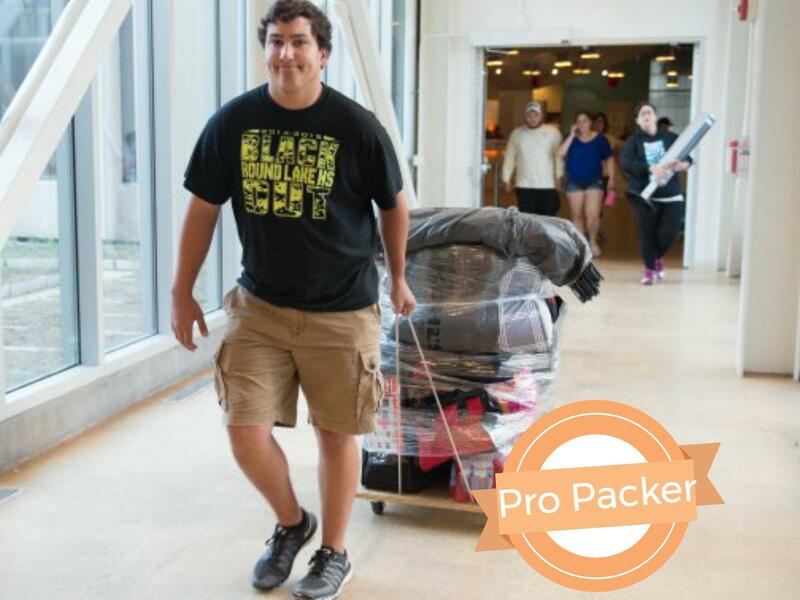 While move in is heavily populated, the more hands you have to help you move your boxes and carts the better. Students can move in even faster off the elevators and into the rooms by having friends and family come along to help the move. 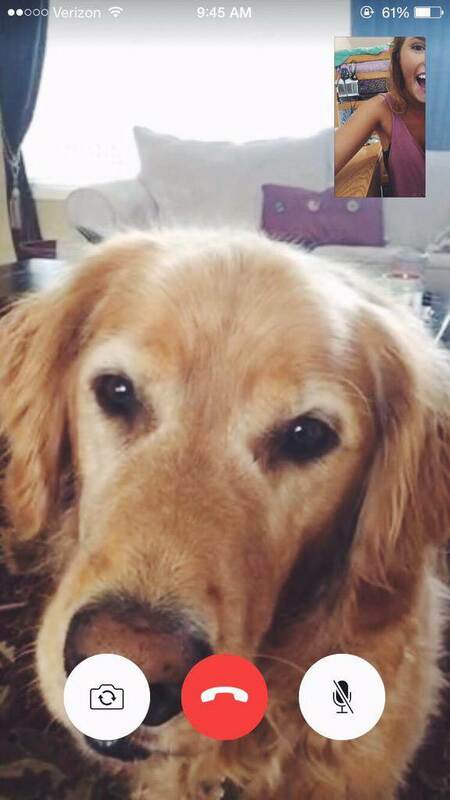 Before students move in, it is important to get in touch with their roommate(s). Good communication can make your move-in experience that much better! Contact your roommate to determine what time they plan to move in. Discuss what will work best for the both of you. It could be helpful to move in at the same time to have more hands available, or it may be more beneficial to move in at different times to make sure the room is not too crowded. You will know what is best for you. Not only should you discuss move-in times, but also talk about what you intend to bring. Are there going to be shared items? Game systems? Televisions? Mini-fridge? Make sure to have a good understanding of what the other person is bringing! Make sure to get yours when you check in! It is important to check in and get your key prior to getting your items to your room. It is easy to get excited and go straight to your destination, but you won’t get very far without your key to get you in! 5. The move in starts at home. Your move-in preparation starts with loading the car at home. Make sure to pack your items in boxes, totes, or suit cases that can be easily stacked or placed on a cart. Carts will be available for checkout. An ID is required as collateral for each cart checkout. To avoid potentially long lines at the cart checkout, feel free to bring your own cart or dolly from home. 6. Pack smarter, not harder. A student moving into Hewett Hall during fall 2016 move in. Bring the things you know you will need at the beginning of the semester. Pack a bulk of your fall clothes but leave your winter clothes at home. You should not need your winter clothes for at least a few months. You will have the opportunity to go home just two weeks into the semester for Labor Day weekend, when you get Monday, September 4, off from classes and can bring all of your winter clothes then. Use your best judgment when packing. If you are unsure if you should bring something or not, you probably should not. Check out our what to bring and what not to bring lists on the Housing website. Finally, pack essential items so they are easily accessible. Imagine if you are preparing for a flight, and you are packing a carry-on bag. This bag might include items such as medication, a pillow, eye care products, hand sanitizer, or a charger for your electronic devices. Before you move, pack a bag with things you may need right away so you do not have to dig through all of your items to find one thing. 7. Plastic wrap, not just for leftovers. One of the unsung heroes of move-in is plastic wrap. Once your carts are loaded up our volunteers will be walking around to plastic wrap all of your items to keep them from falling off of the cart. College teaches students to be resourceful, keep an eye out for more household items that can be multipurpose. Check the move-in day weather forecast. In Illinois, the weather could be sunny and 85 degrees and then five minutes later be storming and 50 degrees (not really, but you get the point). Plan accordingly. Wear closed-toed shoes and dress comfortably. Be sure to stay hydrated as well! We will have water stations available for your use! 9. Pets you pet are not permitted. The only pets allowed in University Housing are fish. Students can bring their gilled friends as long as the fish is housed in a tank smaller than 10 gallons. Feel free to call home and talk to your other animals as often as possible! If you have a comfort or service animal, you can make arrangements with Student Access and Accommodation Services. 10. Watterson residents, prepare to get your step count in! Incoming students who will be living in Watterson will have an opportunity other students do not: they will get the chance to go up or down stairs during move in. Watterson Towers is unique, the elevator only stops on the third floor of each house. If you are not on the third floor, you will need to go either up some stairs or down some. For example, if you are in Pickering room 203, take the elevator to the third floor (Level C) of Pickering House and walk down one flight of stairs. Not only will taking the stairs be an awesome workout for you, but it will also help you get more familiar with your surroundings. BONUS TIP: Know your resources. Stay up to date with all housing related content on social media! Follow all of our pages: @ISUHousing on Twitter and Instagram, and Facebook.com/HousingISU. 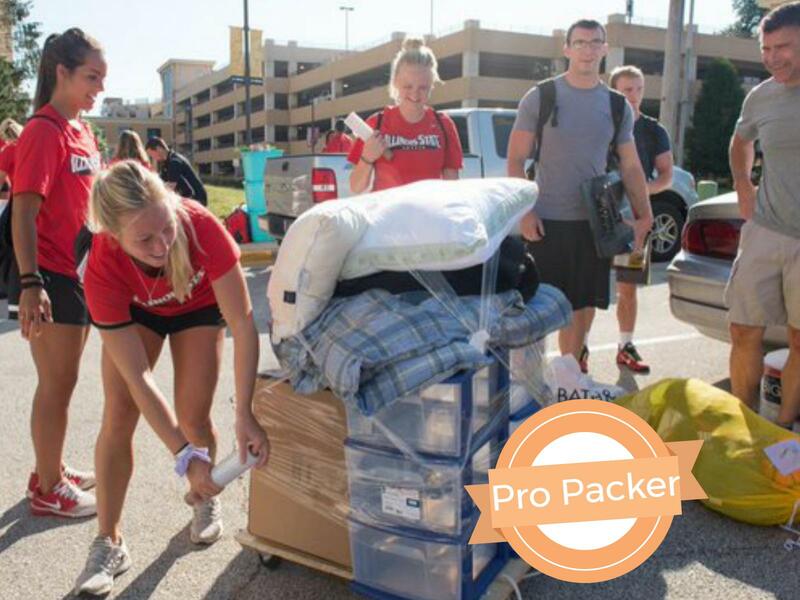 Share your experiences and photos with us on social media with #RedbirdMoveIn. If you have questions about whether something is allowed in University Housing or not, please contact University Housing Services at (309) 438-8611, read the policy and procedures, or contact University Housing Services via email. Check out our video How to Build a Loft Kit.